As a nanny to a newborn, you should take extra time to make sure you are aware of all the special circumstances that come with a new baby! The first year of life in terms of development is incredibly important. Did you know babies double their birth weight by gaining an average of .05 ounces to 1 ounce everyday for the first six months? By the time baby reaches 9-12 months, they have nearly tripled their birth weight! By the time a baby turns 1 year old, they will have grown 10 inches! Keep a daily nanny journal. This can be so helpful for communication in the household, as well as an invaluable document to accompany the baby book. Document the daily goings on, but also document things like did baby smile today? Coo? Make a funny noise? What was baby’s temperament like? Be supportive of mom. She needs your expertise, love, and guidance. In this day and age with technology, you can even take a picture with your phone and e-mail it to mother’s workplace desktop. This can be a great way of helping a new mother stay connected. Make sure that you and mom are on the same page. How would she like you to put her son down for a nap? How does she want the nursery organized? Be aware of where all of the first aid kits are in the house (also keep one in your car and a travel kit in the diaper bag). Keep important contact information including local hospital, pediatrician and parent’s phone numbers, as well as medical card with a release from parents to authorize medical care. If baby is on medications, be sure you are completely aware of the dosage and record the time the medication was given in order to avoid it being given more than once. Coordinate with your employer on feedings and naps. If your employer is breastfeeding and she plans to return from work to breastfeed, make sure you don’t give baby a bottle when she is about to walk in the door. And with naps, attempt to get baby on a sleep schedule. 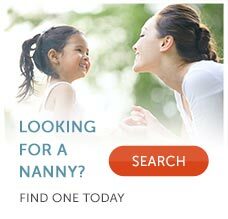 This is not only good for baby, but allows nanny and mommy to have some consistency in their schedule as well. The daily journal should also track feeding, sleeping, spitting up behaviors and acid reflux responses with time and activity so that if there is a problem you may be able to identify the pattern using the journal and discuss this information with mom or the pediatrician. Make sure you hold the newborn and sway,hum and hold the baby close to your body. Newborns need a lot of sleep. Make sure they are kept warm and comfortable. Baby should eat about every two hours,and will be need to be fed throughout the night until they are of a certain weight and can begin to eat enough prior to sleep.